Zambia’s sale of a 49 percent stake in ZANACO to Rabobank Group didn’t involve corruption, according to the chairman of a commission of inquiry that President Michael Sata ordered to probe the deal. “What the commission found was that it was all done above board,” Sebastian Zulu, a former justice minister, told Bloomberg news. Three months after Sata was elected president in September 2011, he ordered an investigation of Dutch lender Rabobank’s 2007 purchase of a stake in Zambia National Commercial Bank Plc. ZANACO shares were sold by late Levy Mwanawasa in 2007 with Sata opposing the move and promising to reverse the process once elected. But as Zulu reveals here, the sale was clean and Sata just wasted public money to pursue his enemies. While Zulu said his commission of inquiry handed its report on the Zanaco sale to the cabinet secretary last year, the government has yet to make its findings public. Milou Verhaegh, a spokesman for Utrecht, the Netherlands-based Rabobank, said the lender had no comment and was unaware of the outcome of the commission. Zanaco didn’t immediately respond to an e-mail seeking comment. The state still holds 25 percent of the bank, with Rabobank owning 45.6 percent after selling 3.4 percent to a farmers’ group in 2008. The inquiry’s report “has been overtaken by time,” the Lusaka-based Post Newspaper reported on Aug. 1, citing Finance Minister Alexander Chikwanda. The inquiry found there were “issues” over the under-representation of minority Zambian shareholders in Zanaco, Zulu said. 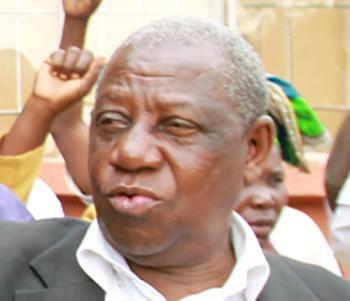 Sata replaced Zulu, who heads Lusaka law firm Zulu & Co., as justice minister with Wynter Kabimba in August last year. Kabimba couldn’t be reached for comment when called on his mobile phone.